we REI-ed it up after our wedding and got some quality goods to make for some quality camping. but with the exception of a 2-night excursion to moab, we haven’t had the chance to put our new gear to use. so what better time to do so than during good ol’ storm gandolf? 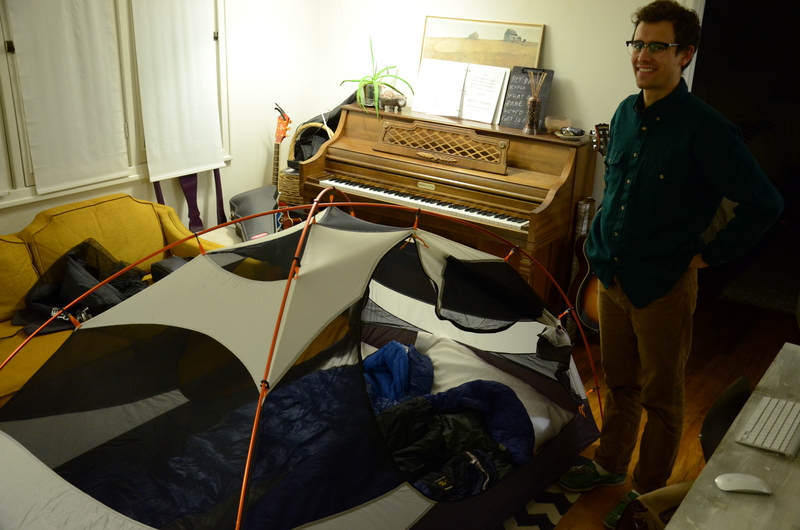 on friday night david and i fine dined on chipotle taco salads and then came home for a cozy living room camp-out. we had plans to do all my favorite camping activities: build a campfire (light every candle we have and collect them outside the tent), play ’round the campfire games (bananagrams) and roast ourselves some ‘mallows (over the candle campfire). but instead we somehow ended up watching rango. i cannot honestly recommend it. it seemed like a good idea. david’s chemistry professor highly recommended it as an inspirational tale. and rotten tomatoes gave it an 88%. high marks. but it really wasn’t a good idea at all. david’s chemistry professor’s media recommendations are no longer esteemed in the kunz household. despite rango being a lame idea, the cool kunz cozy camp-out was an excellent idea. i mean, camping with a kitchen, bathroom, heater and without worry of dirt, bugs, coldness is primetime. i can wholeheartedly recommend that. 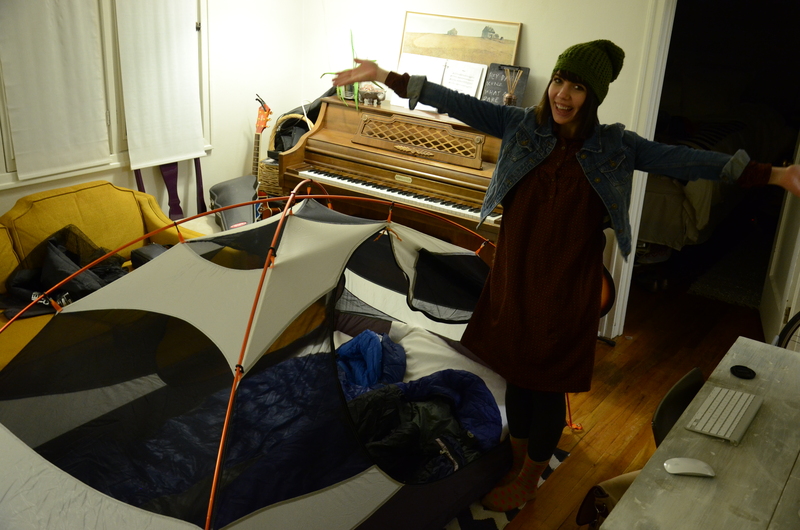 This entry was posted in kunz life and tagged indoor camping, winter storm. Bookmark the permalink. How fun!! And you crack me up! Lovin’ you bloggin’ again!